Residential and commercial inspection service provider for Austin, TX and the surrounding areas. Purchasing a home is usually the largest financial decision of your life. It is important to protect this investment with an unbiased and highly detailed inspection. Finding a home inspector that you can trust and that will be there for you every step of the way is a crucial part of the home buying process. We pride ourselves in inspecting every home as we would our own, and take time to clearly explain our findings, while ensuring to answer all of your questions and concerns. 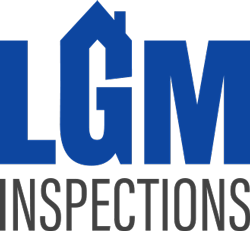 At LGM Inspections, you are provided a comprehensive report, which focuses on every major component of your home or business. Our clients can be rest-assured knowing that every report is crafted with high-quality photos and detailed descriptions of the inspector’s findings. It is our mission to provide you the information needed to make an informed real estate decision, backed by a 100% satisfaction guarantee. Other systems within the home not listed above can be inspected by request to give the home buyer the best peace of mind when choosing a home.